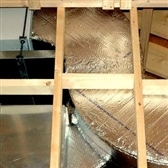 All of our fittings are computer-designed and custom built to meet the specific needs of your home or business. 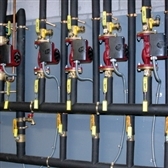 Our state-of-the-art sheet metal shop produces the most cost-effective and reliable metal fittings on Nantucket. We thought that it would be interesting for people to see things from our perspective. Rather than a "Before and After" gallery like those annoying makeover shows, we decided to display a step-by-step gallery that shows that you can get "There" from "Here". 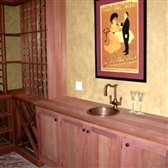 The wine cellar equipment and state-of-the-art control systems that we install are interwoven with each homeowner's custom wine cellar decor. In 2004, the Nantucket Whaling Museum was completely overhauled. 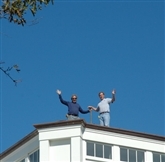 We had the opportunity to install the copper roof on the cupola and the rear roof line.